The family of schoolboy Harry Kirkham - who died after being knocked down by a police car - have revealed they have had to resort to fund-raising to pay for his funeral. Harry was 15 when he was killed in Erdington outside the church where he had just attended a service. Speaking for the first time about the tragedy, his devastated mum Dawn Kirkham has said the family were struggling to pay the £8,000 cost of the funeral. Mrs Kirkham, fro, Kingstanding, who has two other sons, Max and Brodie, said the high costs – including charges to remove Harry’s body from the Queen Elizabeth Hospital, 'rent for two weeks he lay in a funeral parlour a and the burial service – were a burden as she struggles to cope with the pain of losing the youngster. “We didn’t have £8,000, but had to find it and that was pressure on top of the sadness of losing Harry,” she said. 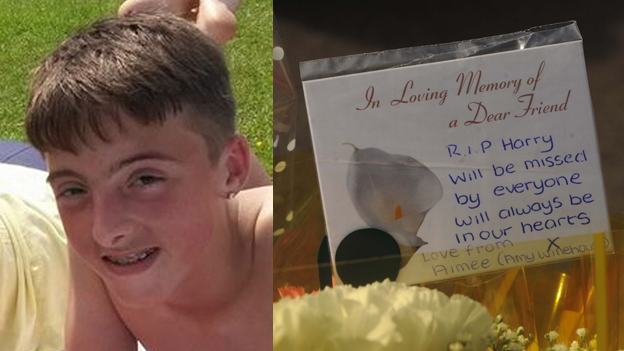 To help meet these costs, the family have set up a fund-raising campaign through the Go Fund Me site on Facebook, which includes Mrs Kirkham doing a sponsored sky-dive in June, around the date of what would have been Harry’s 16th birthday. The tragedy happened at around 9pm on Wednesday March 18 in New Sutton Road outside Erdington police station. Harry had just attended a weekly service at The Potter’s House Christian Fellowship Church with his younger brother Max when he was hit by a police car. The officer driving the car, an emergency response PC based at Sutton Coldfield police station, was said to have provided first aid until paramedics arrived. Initial inquiries suggested the officer was on routine patrol in the area and was not responding to an emergency call. The officer was questioned by detectives from West Midlands Police’s Professional Standards Department and the Independent Police Complaints Commission has been informed. Mrs Kirkham said both she and Harry were strong believers in organ donation and that six people have been helped by his death in transplant operations. And to keep his memory alive, the family has set up a dedicated Facebook site, “Remember Harry-James Kirkham” . So far £4,650 has been pledged and on it, Mrs Kirkham explains why they have set up a fund-raising appeal. “It’s awful to lose a child and then have to try and find thousands to pay for a funeral that parents don’t save for or even get help from the government,” she said. “Not only are we grieving, but also getting into thousands of pounds worth of debt.